I walk each morning in some woodland near my home and especially savour in this late autumn, early winter season, the damp carpet of fallen leaves, now decaying and forming rich mulch that will feed the soil for future growth. Even in their decay, losing edge and shape, melding and blending together there is in this carpet of leaves, a kind of grace and beauty. The other morning though, these meditations were interrupted by a sudden intrusion. 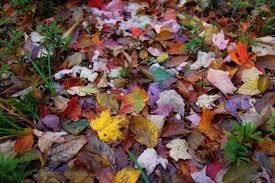 There amongst the gold and mottled leaf mould, like some harsh alien excrescence, was a discarded plastic bag. It was totally out of place and told its own tale of indifference and carelessness; not just the carelessness of the person that dropped it, but the carelessness of the culture that produced it. The trees shed their leaves, and in that fall and letting go achieve a new grace, the leaves themselves let go of shape and colour and in that change and decay become something rich and nurturing. That plastic bag will just persist in unchanging ugliness, and we who make and discard that plastic will continue to be maimed and made ugly by our accumulations, we who might have learned from the trees something about the grace of diminishment and renewal. But the plastic in our lives does much worse than just disfigure the occasional patch of woodland, it literally chokes the life out of other living things and then returns, in the food chain, to poison us from within. The morning’s Guardian has a harrowing piece about how prevalent and deadly discarded plastic is in the world’s oceans. you can read that here. 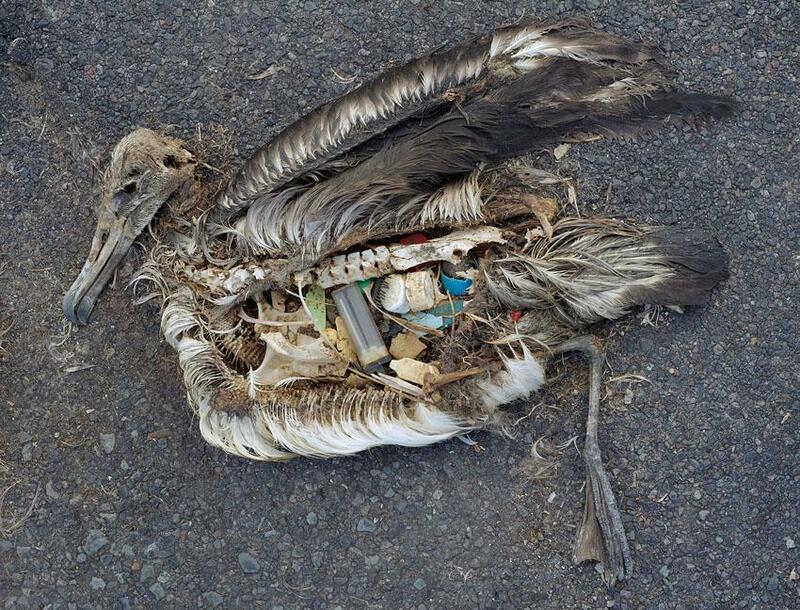 One of the most distressing consequences of this plastic accumulating in the seas is being fed to young albatrosses by their parents as a result of which the birds, their bellies full of indigestible plastic cannot retain enough real food and starve to death. This has been chronicled with great power and pathos by Seattle Photographer Chris Jordan, one of whose pictures I have included after the poem. You can read more about that and see his film about it Here. As so often, Samuel Taylor Coleridge was prophetic when he made the destruction of an albatross a sign of our wanton indifference to other life and our disturbance of a balance in nature which will eventually wreak havoc on us. My morning walk, and the wider awareness of the damage caused by plastic’s bleak persistence led me to write this sonnet in praise of decay and praying for a return to older and wiser ways of living. As usual you can hear the sonnet by clicking on the ‘play’ button or the title. Do feel free to share this with other people. Where poison and possession still accrue. From which the stuff of life is still unfolding. To break the bleak persistence of our waste. Might save us from the dreadful things that last.